Versailles Palace gardens : the set itself is already exceptional during the day, but a visit at dusk will disrupt all your landmarks. The change of scene is guaranteed during this sound and visual experience. An original way to rediscover this monument of French heritage and to revive the luxury of the past. 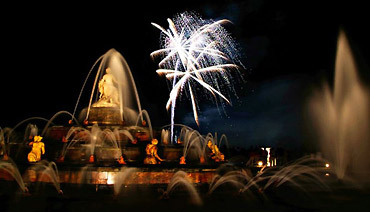 France Tourisme propose you tickets for the Night Fountains with optionnal R/T transportation. 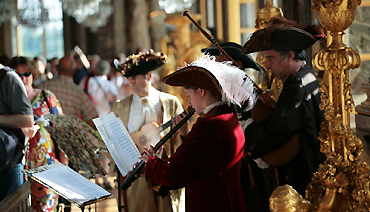 Just before the Night Fountains Show at Versailles, live the lightning hours of the reign of Louis XIV by going through the state Apartments and the Hall of mirrors at the sound of a serenade, then go to the Versailles french gardens to assist at the Night Fountains Show, enclosed by fireworks in front of the "Grand Canal".